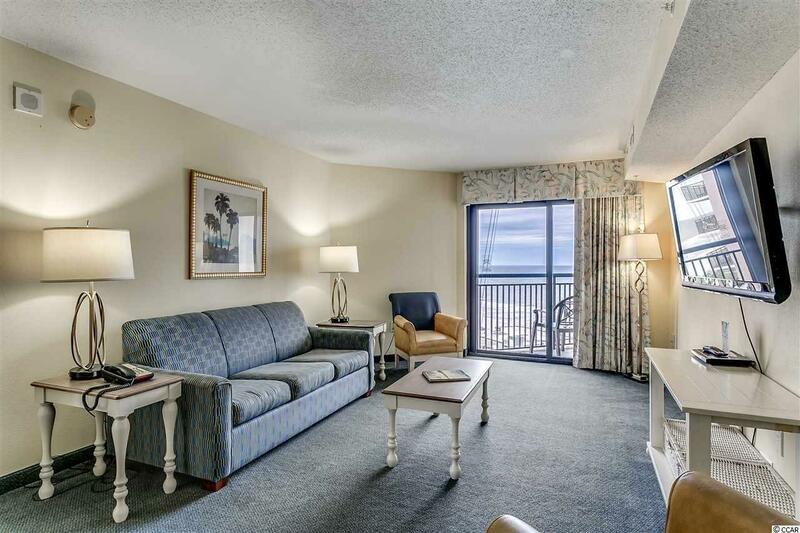 Beautiful view of the Atlantic from this angle oceanfront 2 bedroom/2 bath condo in Ocean Reef resort. Two balconies, one off the living room and one off the master bedroom. Spacious floorplan, full kitchen, nicely furnished and accessorized, granite counter-tops in kitchen, washer/dryer. Perfect for a second home or a vacation rental investment property. Excellent onsite rental program. 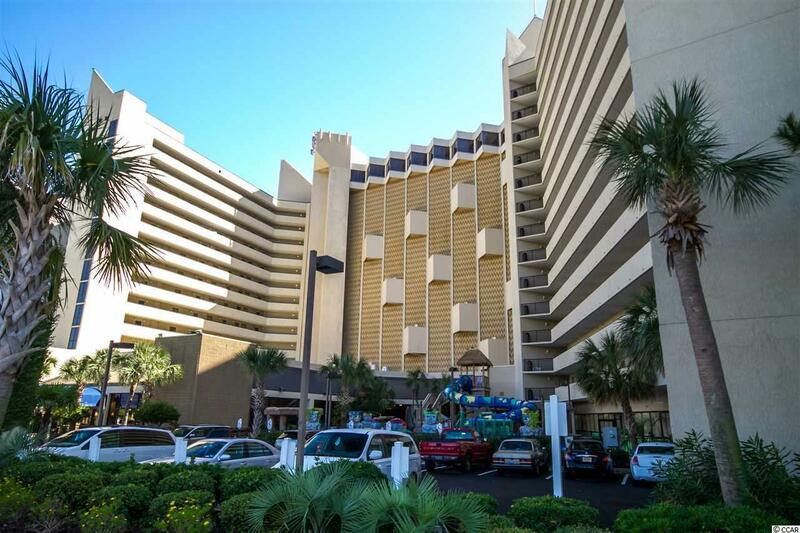 Oceanfront features include a large pool, grassy sunning area, seasonal pool bar, and hot tubs. Other water amenities include the kiddie water park with a new slide, indoor and outdoor kiddie pools, and an indoor pool, lazy river and hot tub. When not enjoying the pools and other water facilities, you can spend time in the Banana Boat Lounge or Caf' du Port - the onsite oceanfront restaurant. To top it off, theres an arcade, a gift shop, a fitness room, meeting space, an impressive lobby area and Ping Pong and shuffle board in the indoor pool area. 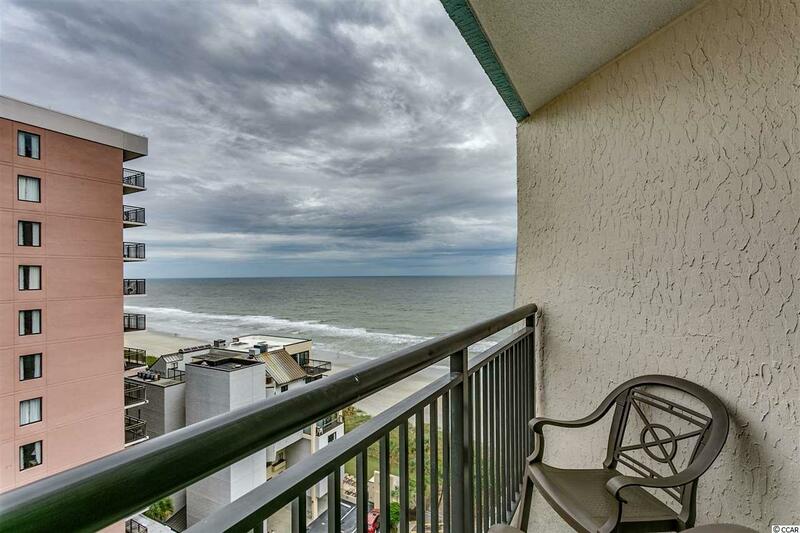 Ocean Reef Resort is located in a prestigious area, popular with locals and tourists alike, on the north end of the city of Myrtle Beach, about two miles north of the downtown hotel section. 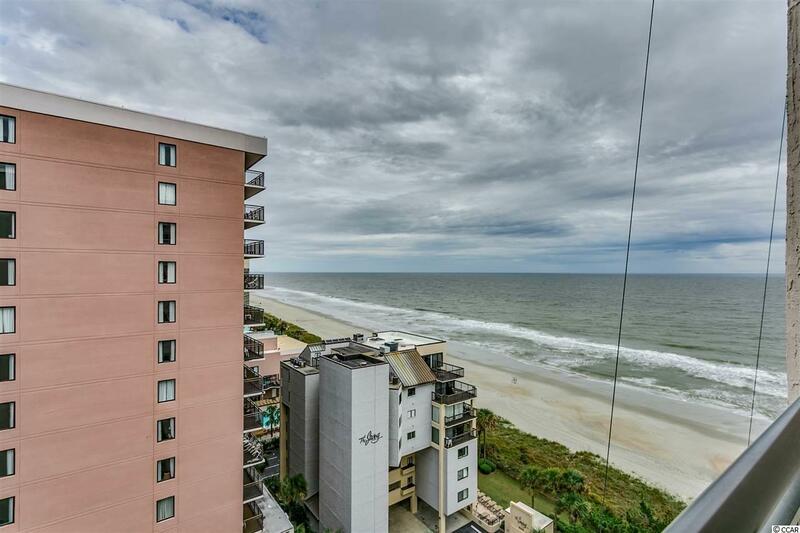 This popular area is home to many of the Grand Strands finest shops and restaurants. Broadway at the Beach, the Restaurant Row section, and Barefoot Landing are all within a 15 minute drive. The HOA fee covers unit electric, water/sewer, cable TV, internet, building insurance, contents insurance (H06), all exterior upkeep and reserves. All information is deemed correct, but it is the responsibility of the buyers and their agent to verify all information.